St. James Parish Hospital, located in Lutcher, Louisiana, is a non-profit, 25-bed Critical Access Hospital. 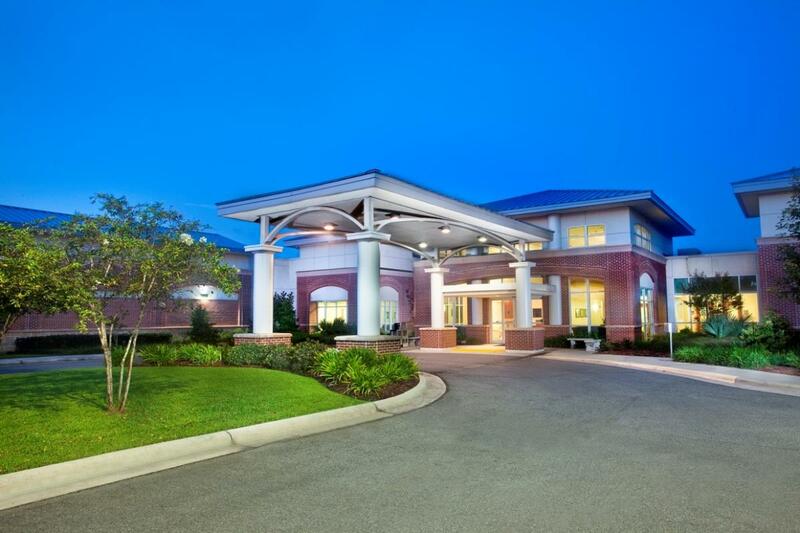 Services include a Level II Emergency Department, inpatient and outpatient surgery, 20 acute care and skilled rehab/swing beds, 5 progressive care beds, full service lab and imaging services, and comprehensive outpatient therapy. St. James Parish Hospital prides itself on being "Large enough to serve, Small enough to care." Ravi Lote, Global Operations Manager and Principal Consultant with PMC Engineering, worked with St. James Parish Hospital in 2012 on a Lean Process Planning & Value Stream Mapping Project. The team chose to focus on two particular areas: medication management and medical necessity. RHPI spoke with Mary Ellen Pratt, CEO, Geri Abadie, Director of Quality, and Tracy George, CFO, team leader for the project, in June of this year concerning their progress. Q: Why did you choose to focus on Lean process for your RHPI project? A: St. James Parish Hospital is very results-oriented and places much importance on driving performance improvement through a balanced management system. For many years, we have recognized Lean as an effective technique for improving processes and increasing efficiency and we invested in training hospital leaders back in 2004. Because many leaders had changed, we wanted to teach the new leaders the principles and tools as well as "refresh" the rest of the leadership team. I knew PMC Engineering was working with a CAH that I had worked at prior to St. James and were getting good results. A: For medication management, standardization in the process has been fully implemented. Staff had been making lots of trips to medication room which took a lot of time. Now they pull meds at the beginning of their shifts which saves time and they can do medication verification, 91% of med verification is done at the bedside. There is a new flagging process for physician orders and they now have CPOE which is helping with timely orders. IV piggybacks are now color-coded and really reduced errors. The team is able to quickly identify issues to be addressed when there is a spike in numbers. For the medical necessity portion of the Lean project, the team redesigned the outpatient order form to highlight tests that require additional documentation. Almost all physicians are using it and they worked with their office staff to provide education. Advance Beneficiary Notice of Noncoverage (ABN) are signed in advance which has improved Medicare compliance. A: The goals for the medication management were to: reduce turnaround time, reduce medication errors, and establish a universal process. Creating a set process has saved time and physical effort involved in medication management. Medication verification has saved the hospital $5000. Medication errors have moved from 1.2 per 1000 to 0.8 per 1000. For the medical necessity portion, medical necessity write-offs were reduced from $997 to $964. Orders requiring rework were reduced 50%, resulting in a cost savings of $5000. A: Measures continue to be watched and acted on. The hospital quickly responds to spikes in measures. A: To make the Kaizen event and on-site consulting time more productive, we would have identified the necessary data elements and collected this information to be used by the team during the event. Secondly, trying to do two distinct projects at once, was probably asking too much. We should have focused on one at a time.